Hey! So I have had this on my mind for months, years, now. I have always wondered why retail stores separated products specifically geared towards black consumers. Yes, black owned makeup brands. Why have an ‘ethnic’ aisle? I think this separation has made non-black people think that they could not use these products. People of colour have been using not-black specific brands for decades, even as companies still don’t produce foundation shade in the darker end of the spectrum. Certainly many people, who are non-black, have curly hair in need of moisture. Coincidentally, Jackie Aina, who I follow on YouTube issued a challenge to non-black makeup lovers to step outside of their comfort zone and try makeup brands that are black-owned. There are even more makeup brands that have extended colour ranges that cater to medium to dark skin as well as lighter skintones, that are not black owned like blackUp Cosmetics, Sacha Cosmetics and Black Opal. Get out there, as a makeup lover, and look beyond the M.A.C. and the Covergirl and discover the makeup that we chocolate ladies and gents have been loving! You might be surprised! 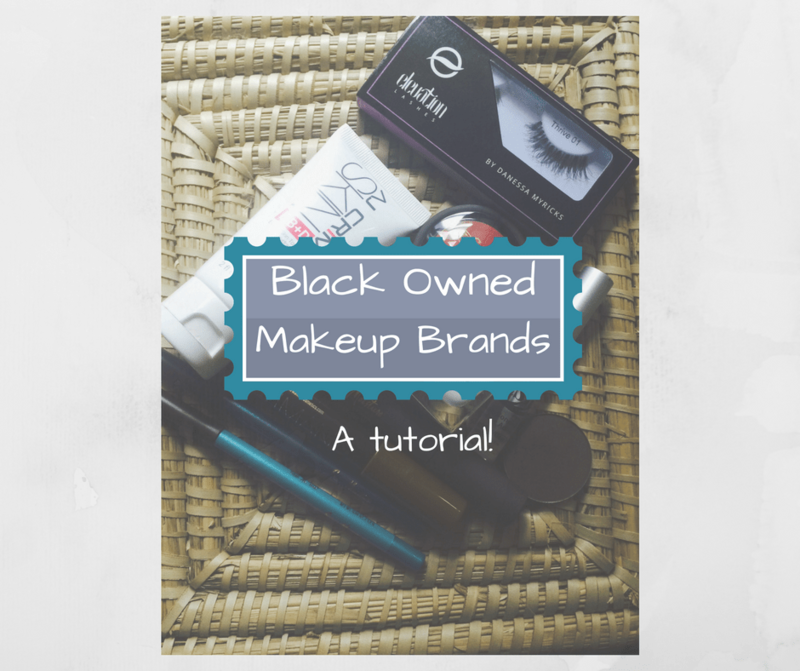 In this tutorial, I mostly used black-owned brands and I tried to used products from companies that I did not think that were on the lips of every beauty blogger or magazine editor. There are more out there as well. Let me know, in the comments below, other brands that did not make my list. Check out my video below and links to all the products mentioned are also listed. And here’s the look! A beautiful gold, teal and turquoise. Perfect for a summer party or fete! AJ Crimson Skin BB+D Cream – This product is no longer available but AJC sells some really amazing foundations in a wide variety of shades and they come in pan form which is great for makeup artists! – AJC Dual Skin Cream Foundation. Check out some pics of these foundations in action at NYFW! 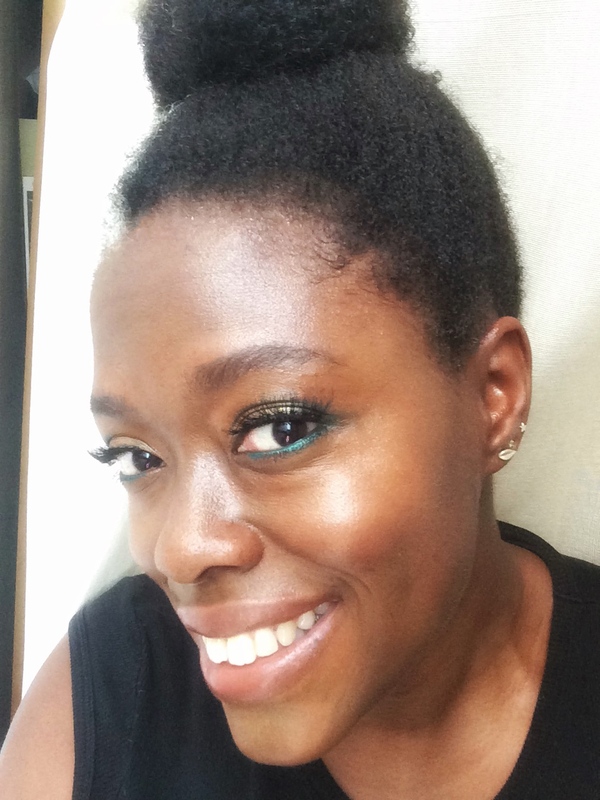 Danessa Myricks Beauty Lock-On Lash Adhesive in Invisible – seriously the best eye lash glue ever! Mischo Beauty Nail Lacquer in Coco. Check out some other Mischo nail lacquers here and here! Let me know which brand or product is your favourite! If you like this post, make sure you sign up for my email newsletter by clicking HERE! Get the latest curated news and see what beauty products that I loving at the moment! Related Posts: Upcoming collaboration between M.A.C. and Taraji P. Henson! Check out the Manus x Machina exhibit at the Met in NYC. Details on the limited nail collection here! Summer nail polish for brown skin here and here.